Ignoring the negative, embracing the positives in life, & learning to be happy! I'm sorry I've been gone so long. It's been a tough year for us & I've just not had the time to sit down & blog. 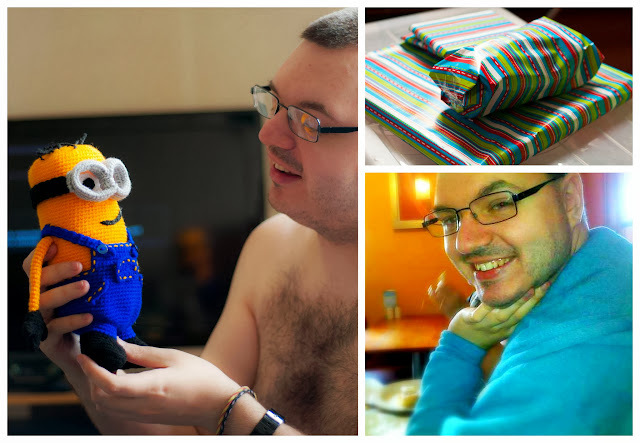 I'm planning (hoping) to start blogging again soon but for now I'll just leave you with these few images of some of the things that have made me happy recently. It feels like I've been away for ages....well I have really, sort of! I was hoping to start posting again in October but time was not on my side. Towards the end of last year things went from busy to chaotic. Even Christmas seemed a lot less relaxed but don't we all prefer to be busy? I know I do! My chosen image for my first post of 2014! 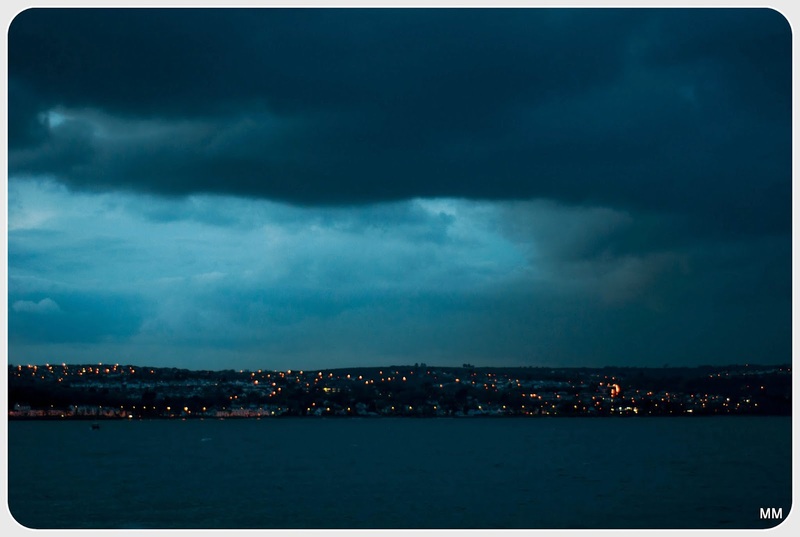 It's a representation of the weather we are all having at the moment! Oh how I long for a bit of sunshine! I am so grateful to have crochet (and crafting in general) in my life while we are all experiencing this horrendous weather! It's that little bit of sunshine that we all crave in our day. We've had a few power cuts thanks to some horrible storms & gale force winds but otherwise we have been very lucky. I hope you are all keeping safe & warm wherever you are in the world! And seeing as you've not seen any of these yet, I thought I'd start the year off with a post showing you my most recent completed projects of last year! 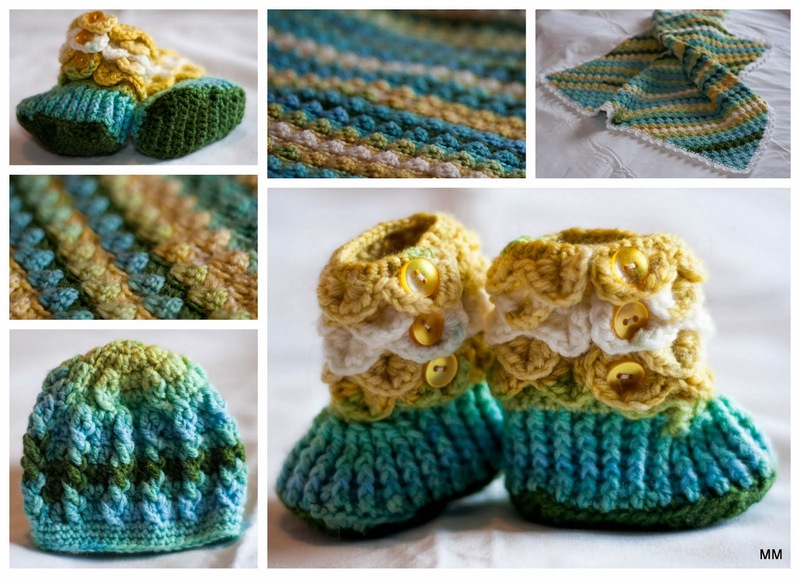 Crocodile Stitch booties (Pattern by Bonita Patterns), Corner to corner blanket (Pattern from Crochet Crowd), Infant hat (Pattern from Crochetvolution) - All made using Ice Yarns Magic Light DK. 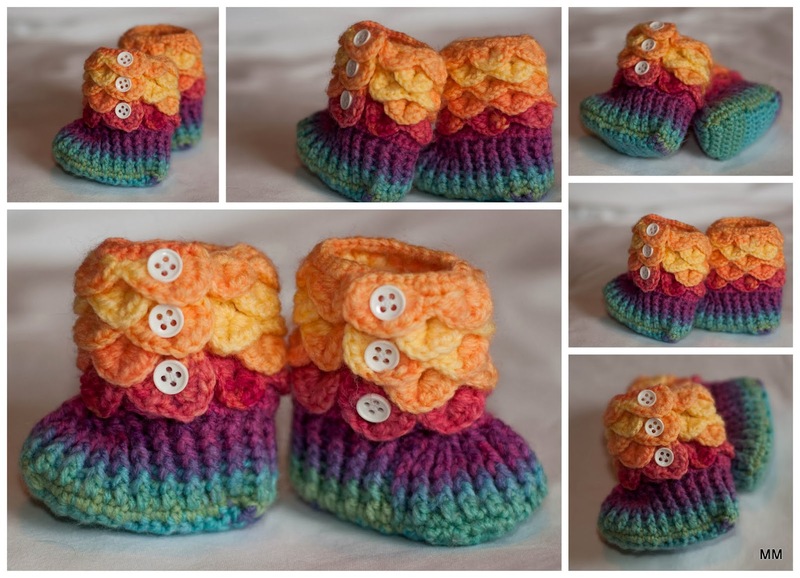 Crocodile Stitch booties (Pattern by Bonita Patterns) - Made using Ice Yarns Magic Light DK. 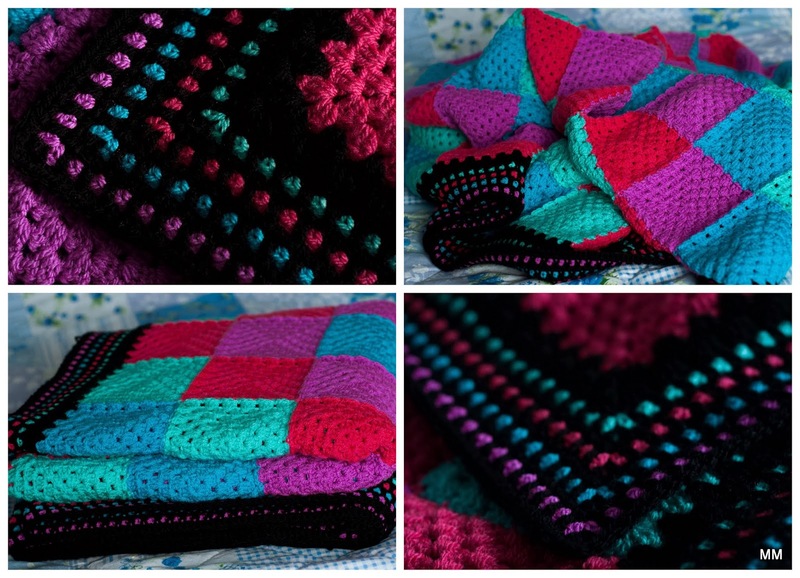 Fluffy Meringue Blanket (Pattern by Patons) - Made using Ice Yarns Magic Light DK. 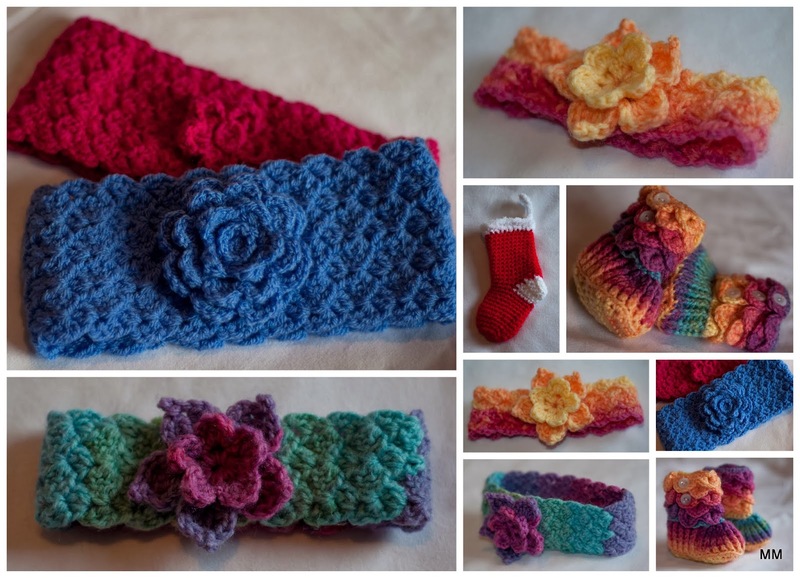 Headbands (Pattern by Flower Girl Cottage), Various flowers used but my favourite one is the Picot Flower by Skamma), Little Christmas Stocking (Pattern by Le monde de Sucrette) - Made using Ice Yarns Magic Light DK & Stylecraft Special DK Various. Patchwork style granny square blanket for my future-in-laws! 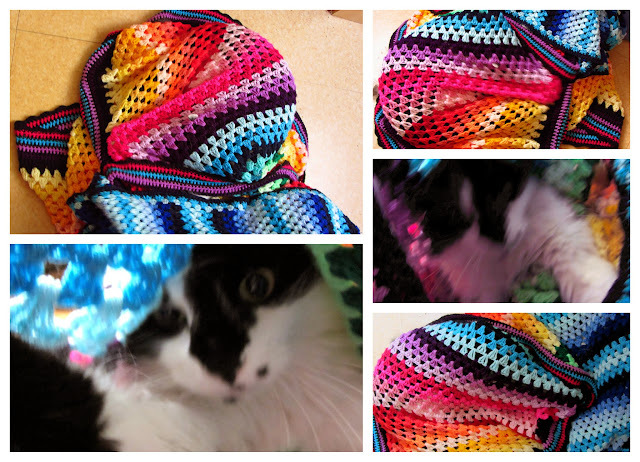 (I don't think you need a link to a pattern but I'll include one in the next photo anyway). - Stylecraft Special DK yarn. Basic granny square pattern, and I used the JAYG method to join them. I think this has become my favourite border! I got the idea from the lovely Lucy over at Attic24! It's simple yet effective. I spent the last week thinking about how busy we are lately, how little free time & family time we have at the moment and how a few things desperately need to change! When I started my blog at the beginning of the year, I hadn't realised how hectic things would get! We haven't even had time to go for those walks I love so much! With my to-do list growing longer, my current WIPs increasing, my dad's crazy work schedule, our September schedule looking chaotic, my fiancé's health up & down and our need for a healthier lifestyle gradually growing, I've decided to take a brief break from blogging until (hopefully) October. We've had a bit of bad luck thrown our way recently which hasn't helped much but I am remaining positive! I've learnt something this year that has given me a different outlook on life! We should always try to find the positive in the negative. Try to find something everyday to feel positive about no matter how rough that day might be! Even if it's something small like cooking a yummy dinner! Negativity is so draining! I spent a lot of my life being negative. I've always been a pessimist but this year I am working hard to be an optimist! Ok, that's as insightful as I'm going to get! So, with a bit of luck I'll be back with plenty to share by October! Cat's included! But for now, take care lovelies! 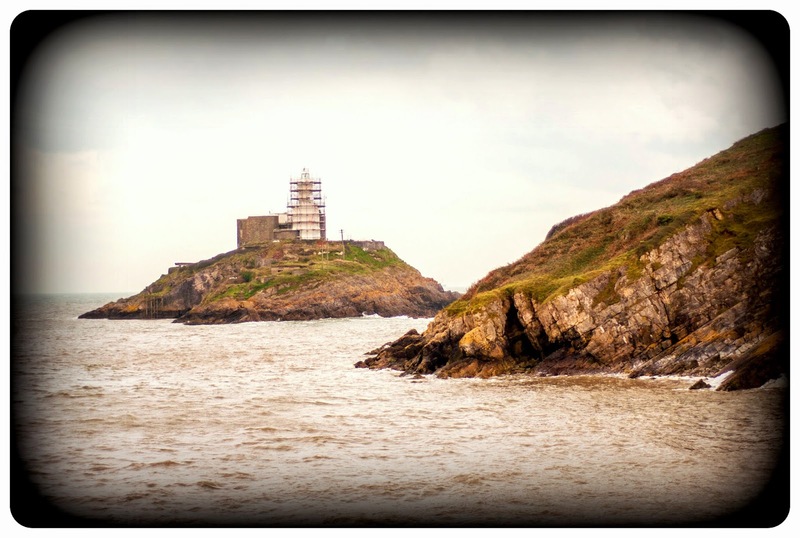 I'll leave you with this photo taken on my dad's birthday, December 2012 at one of my favourite places....The Mumbles Pier! It's a Bank Holiday Monday here & I've been up since 6am. My poor dad still has to work so it's only fair that I get up early to welcome him home with a hot cup of coffee & some breakfast. It helps that I'm a big fan of early mornings! My dad is pretty awesome. He was at work till 6am, came home, had some tea & breakfast, had a few hours sleep & then got up and went to the shops to get a few odds & ends and surprised us with a teatime treat! I've been crocheting like crazy lately. 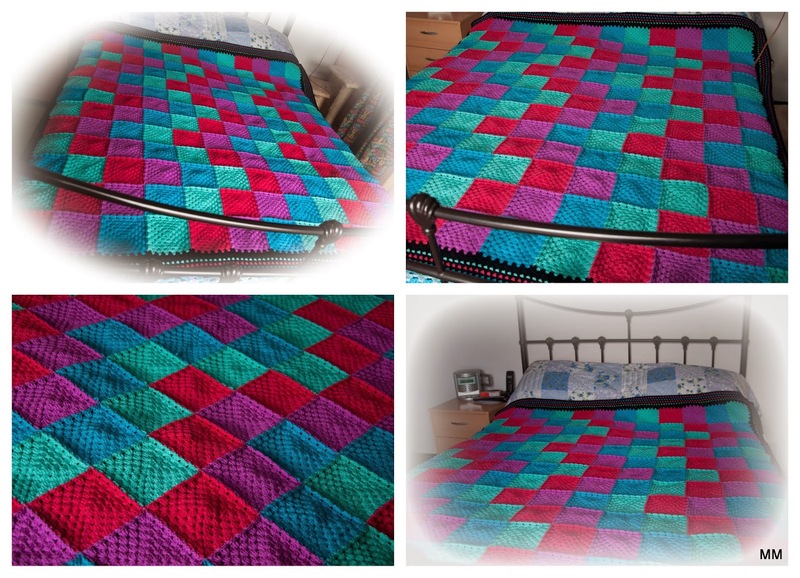 I've only got till the end of September to get my 2 large crochet projects done & then I'll need to start preparing things for the Arts & Crafts Fayre. The 2 large WIPs are my dad's camo blanket & a gift (also a blanket) which I can't say too much about at the moment. Both are coming along nicely but they are certainly chewing up my time! Two of our lovely cats have developed a habit lately of waking us up as early as possible! Soetie (the black fluffy one) and Tabby (it's in the name really) have decided that anytime after 5am is perfect for a bit of attention! I disagree slightly...7am would be better at weekends if you don't mind! I managed to squeeze in a photo of Bella, Socks (being crazy & playful as usual) & Munchkin. Bella put a big smile on my face this week when I saw her climbing onto the chair & getting ready for a nap. I've finally managed to get her to sleep on the chair with the blanket rather than on the cold floor! Yay! The cats are great at letting you know that it's getting colder. They hog all the blankets & Munchkin starts looking for humans to snuggle up to! And lastly...I have been doing plenty of baking lately. 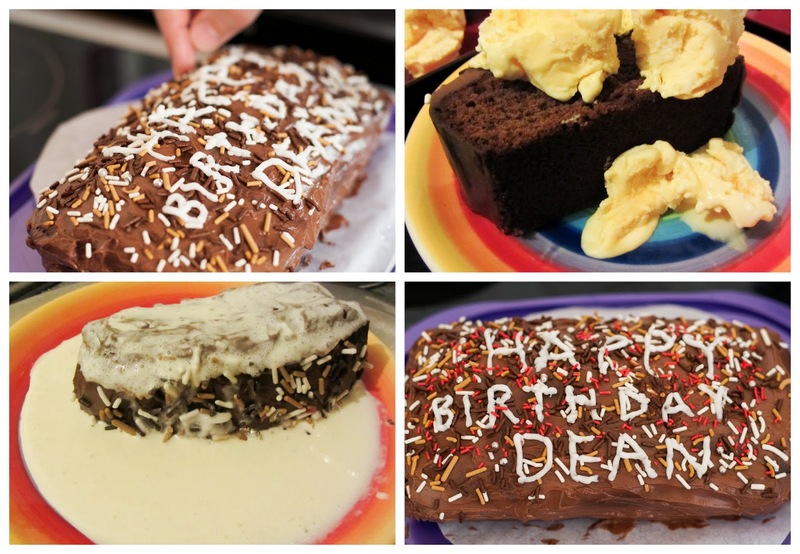 Well, I say baking but it's more like experimenting. 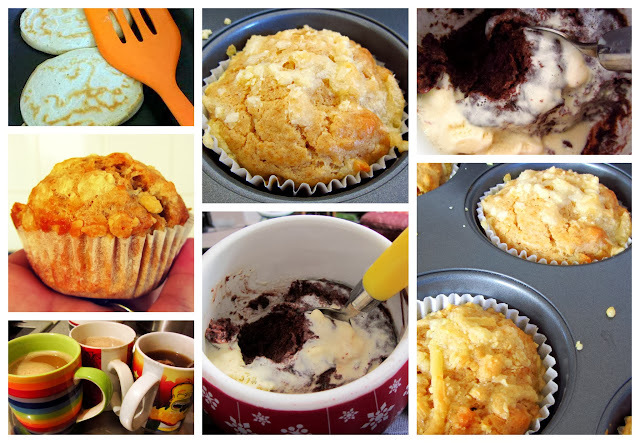 See, there is nothing nicer than a hot pudding/cake/cookie etc in winter with a lovely hot coffee or cappuccino so I've been experimenting with all these microwave recipes out there. I have one chocolate cake one that is my all time favourite! It's not eggy, spongy or rubbery! It's perfectly chocolately, like a giant brownie in a mug! I'll try to remember to post it sometime! I found a lemon one that I've not tried yet and I've tried loads of cookie ones but none have been successful! Got any to recommend? 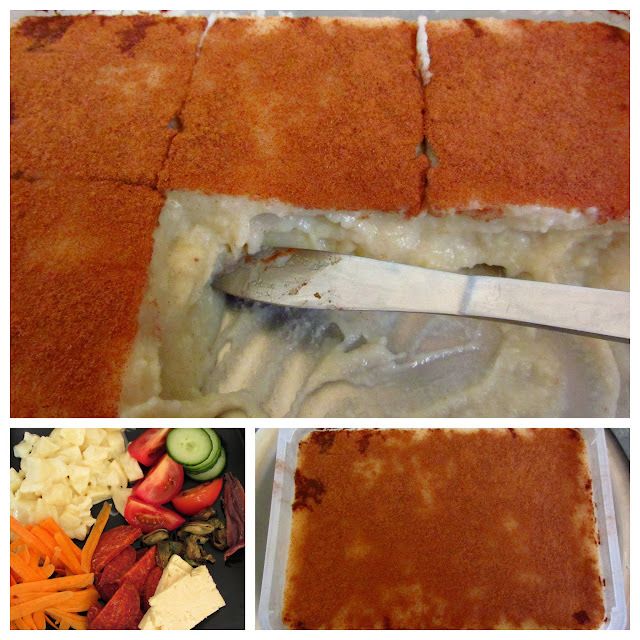 While I was experimenting with cakes & cookies, my dad mentioned that he'd rather have something savoury. So off I went to the kitchen to bake some spicey cheese muffins! That was lunch! Yesterday, I made pancakes with maple syrup for breakfast! We don't have them too often because the maple syrup is pretty pricey! I'm getting back into my baking & cooking again. I think it's because it's cooled down a bit! Ok, that's it from me this week. Short & sweet! It's been a hectic & very unlucky week (I might share that story with you one day) to start with but we've all kept that smile on our faces hoping that September will be a better month! Take care all & hope you have a lovely week! PS: If you have any issues viewing my blog please let me know. I've changed a few things & will be fiddling with it over the next few days! Birthdays, family & fun times! I'm playing catch-up with everything at the moment! I've finally caught up on the washing (sort of) and cleaning (though I keep finding more things that need to be done) but everything else is way behind schedule. I'm a bit snowed under at the moment! 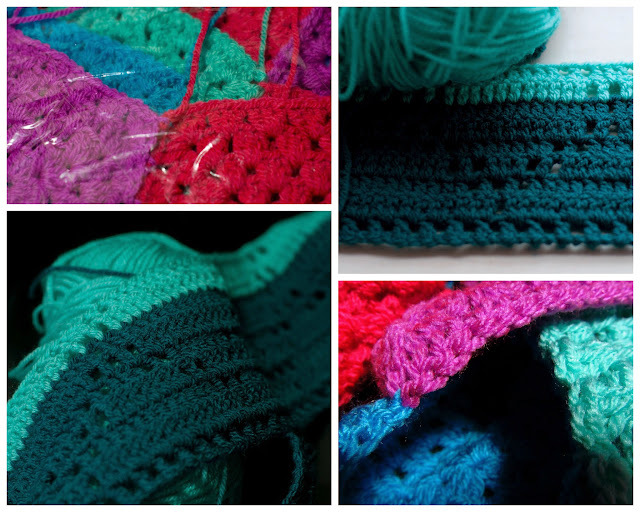 I'm behind on all my crochet projects and still have to start putting some ideas together for the Arts & Crafts Fair. 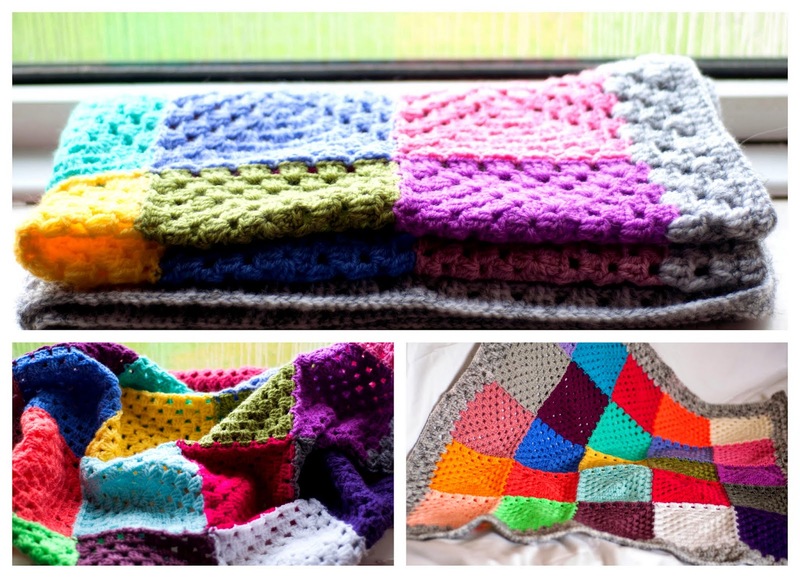 Too much time spent procrastinating and not enough time spent crocheting & organising! I keep getting distracted & finding other things to do. 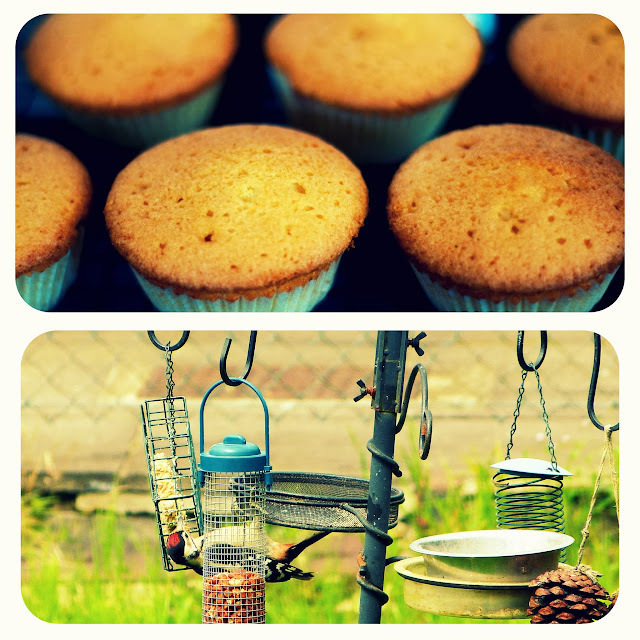 Yesterday I decided to bake some almond cupcakes even though I knew I had a full schedule! Priorities! Priorities! Priorities! I need to focus! We've also had my fiance's parents visiting so I've not had much time to do my usual blog post & am a week behind but I will try to keep this post short & catch you up on everything we've been up to. PS: That's the woodpecker that keeps visiting us! 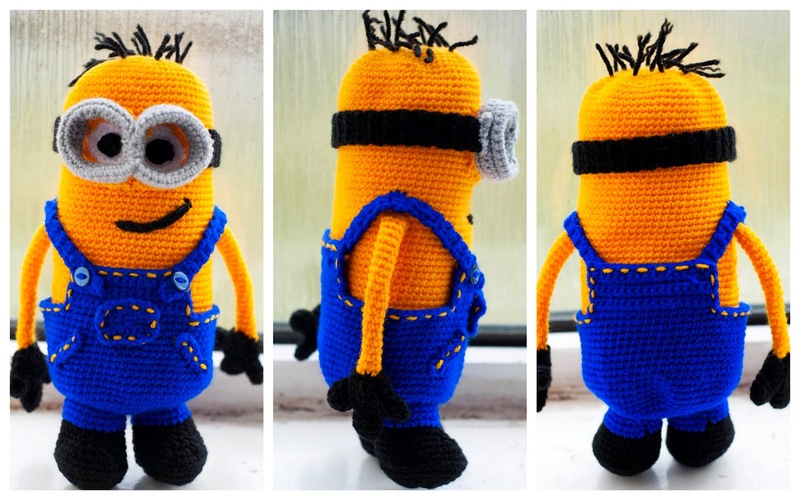 Minion! So my wonderful fiancé spotted this pattern a few weeks ago when I was browsing the internet & decided he'd love one for his birthday! Fast forward to a week & a bit ago...there was me sat at the laptop, crochet hook in hand, putting together this nightmare of a project. The tutorial is excellent and probably the best I've seen but I've never done much amigurumi so this was hard work for me! This was 3 days worth of hard work. I was up at 6am everyday and not getting to bed till 3am & was having to squeeze minion time in whenever I could. The things we do for the people we love! ♥ Never again! (I say that now but he'll probably have me making something else before the end of the year!). We watched Despicable Me 1 & 2 recently & they're just awesome! Absolutely enjoyed every minute! Please excuse the lack of a shirt...it was early in the morning & this is the only photo I have of him with the Minion! He finally got to meet his Minion! I think he likes him. They'll get along just fine. It was all smiles on his birthday. He was very spoilt and it was a very enjoyable day. Look at that lovely smile ♥ says it all really! My dad has been on leave for the last week & my fiancé's parents arrived the Thursday just before to spend the week with us. His parents treated us to lunch at his favourite eating place...Taybarns! We all had a great time! Lots of laughs & too much to eat! Unlimited cappuccinos (my kind of heaven)! The weather was lovely. I got everyone to pose for our traditional photo on the bicycle stands. 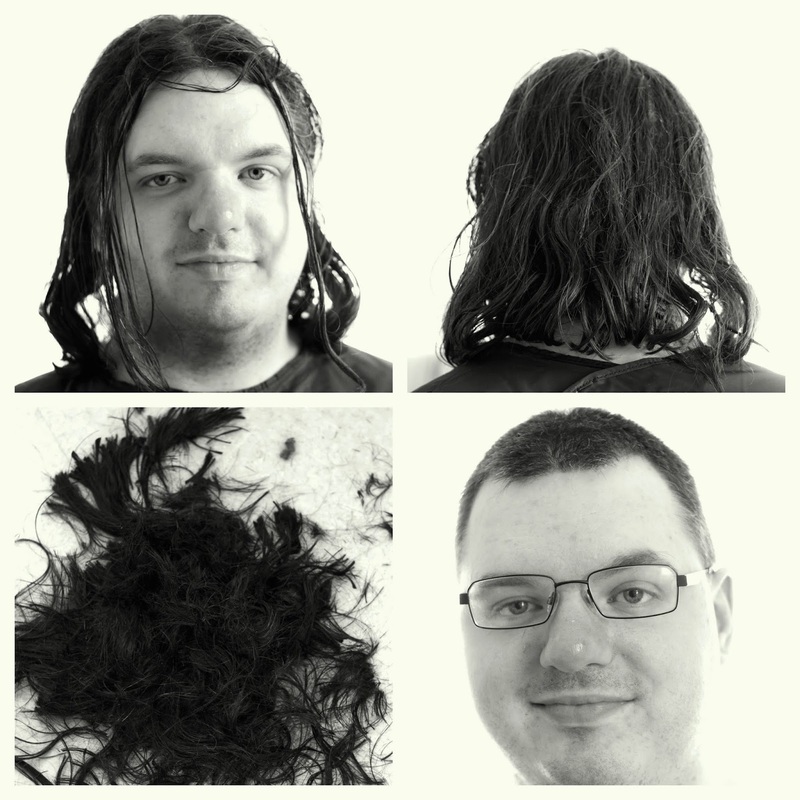 We've been doing this over the past few years and it's really interesting to look back at. My dad made a lovely roast dinner for us the following day & a delicious Trifle. I think we definitely overindulged but it was thoroughly enjoyed! Delicious with a bit of cream! The birthday boy loved it. 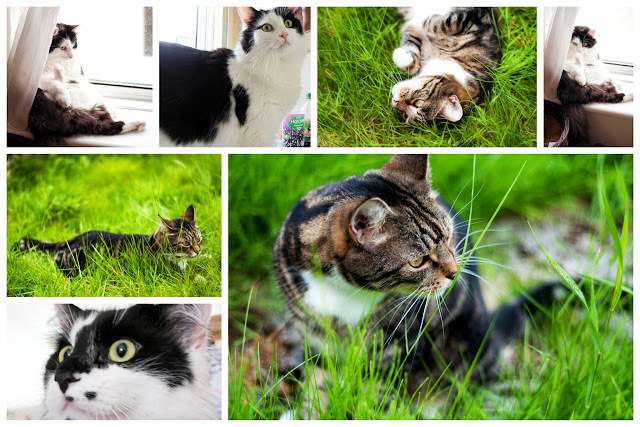 Of course the cats always find their way onto my blog! Our little furbabies aren't the most sociable creatures. They spent most of their time hiding, shouting at our visitors or sleeping. As far as they're concerned, they rule the house! They can be pretty demanding at times. Tabby got some outdoors time so he was happy. Everyone else was content to stay indoors! On their last day with us (an hour before their train was due) we were treated to a snack at our favourite cafe...NRG. Nothing compares to this awesome cafe! My fiancé's mother is as much a fan of this cafe as I am! 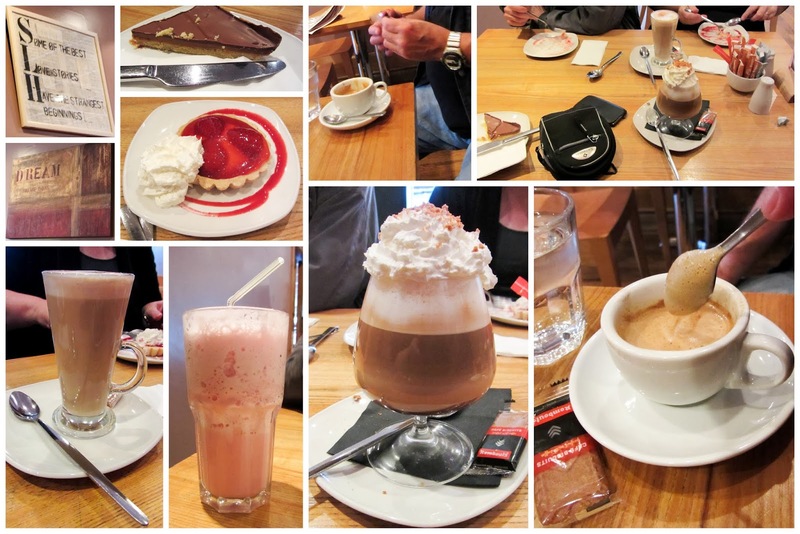 I had a Cafe Creme Brulee, she had a Baileys Latte, my dad had a Espresso Macchiato & my OH had a delicious strawberry milkshake! Of course we had to have a treat to go with it! Strawberry tarts & caramel shortbreads! Yum, yum, yummy! 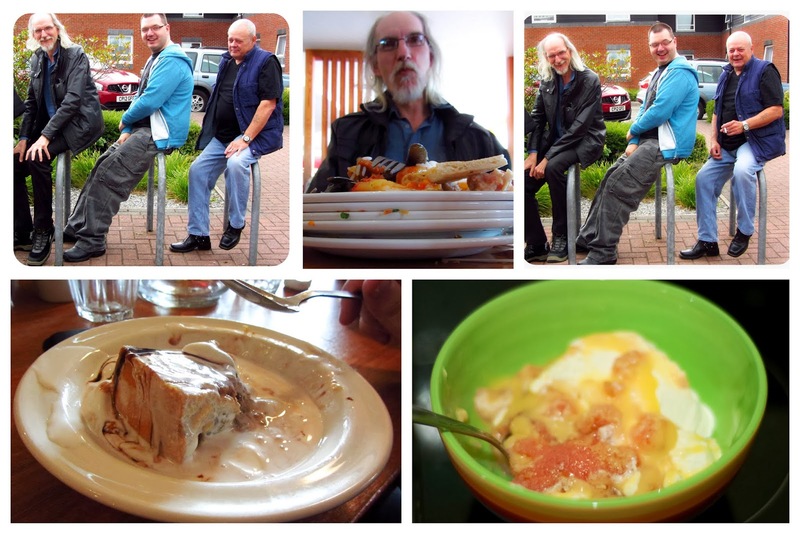 This is the same place we went to for my birthday meal earlier in the year. We took a slow walk to the station & then said our goodbyes. We had a lovely week with them. It'll be a year now before his mom visits again but we'll be seeing his dad again in October! Now that our visitors have gone home, life must slowly go back to normal. Easier said than done! We've managed to get a fair bit done though. We bought some lampshades and my dad put them up yesterday. 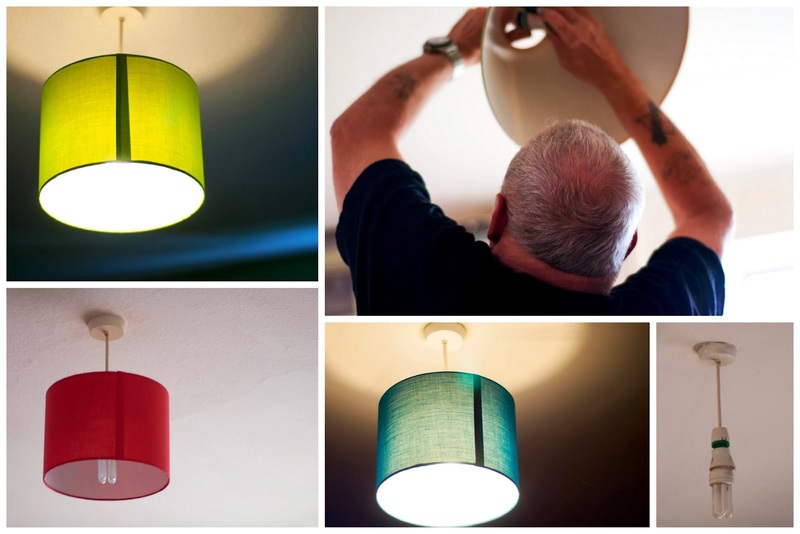 They add a lovely bit of colour to each room. I finally got round to ordering some new bedding that will be here on Tuesday & winter curtains. Normal routines shall resume tomorrow morning, starting with a 4am start! 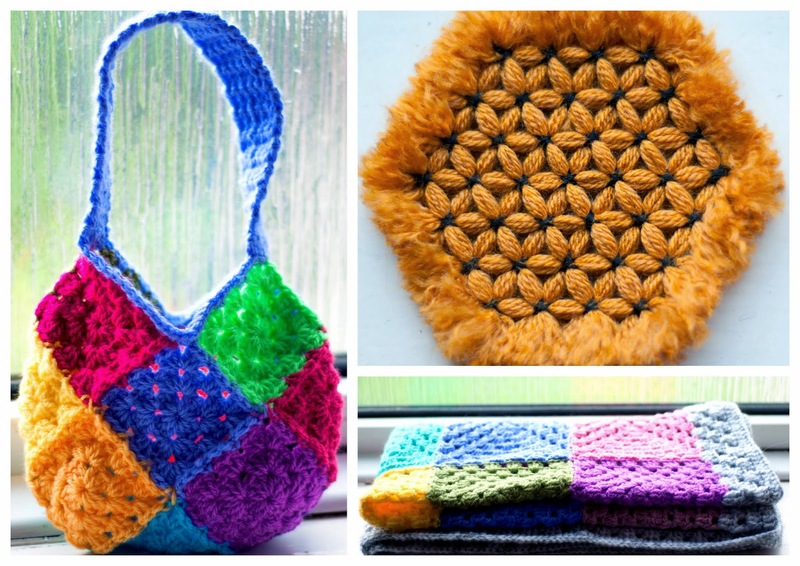 Now if I only I could catch up with my crochet! I think that's everything! I hope you've enjoyed my little catch-up with you & hope you are all well. I'm off to catch-up on some of my favourite blogs! Wishing you all the best for the week ahead. Hopefully I will see you back here next Sunday! I'm a day late with this post but my weekend has been jam packed with sorting & cleaning! I caught the cleaning bug again so was on a major mission! 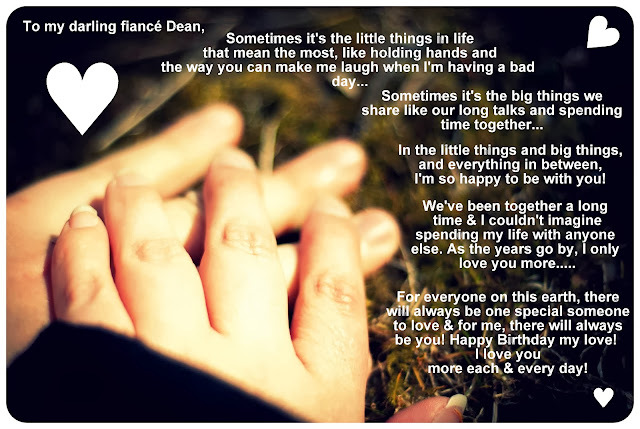 We also have family arriving on Thursday & my fiance's birthday next week so there is a lot to plan and organise. Sometimes I think I get more excited about his birthday than he does! Do you remember the photo last week of the red & brown squares? Well, this is the finished project! It was really fun to make but I would've loved to use other colours. It's part of my stash busting mission! 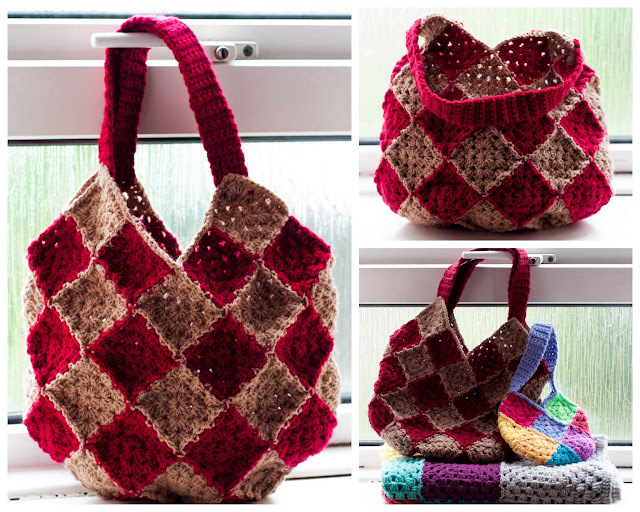 I haven't got a link to a pattern because I got it from my head but it's really easy to make and there is probably plenty of similar ones around. 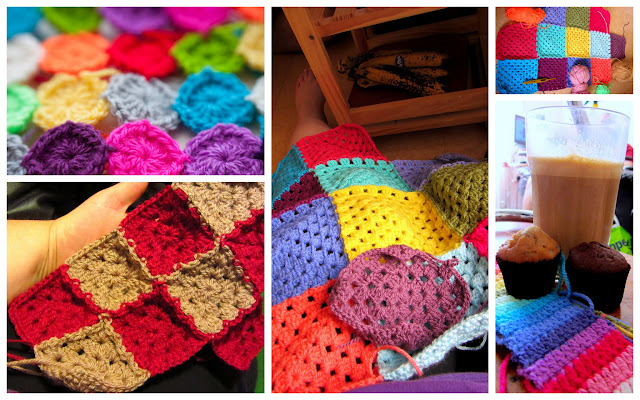 I think it's 52 granny squares in total (I could be wrong) and I used the JAYG method. The handles are very basic. I ran out of yarn on the handles so I couldn't make them very long & couldn't add the flowers like I had hoped but it's great as a sort of handbag. So here is my charity collection! It's all currently in the shop, waiting for someone to buy them and all of the money made from the items goes to the charity. The small bag already sold! The lovely manager bought it as soon as she saw it! 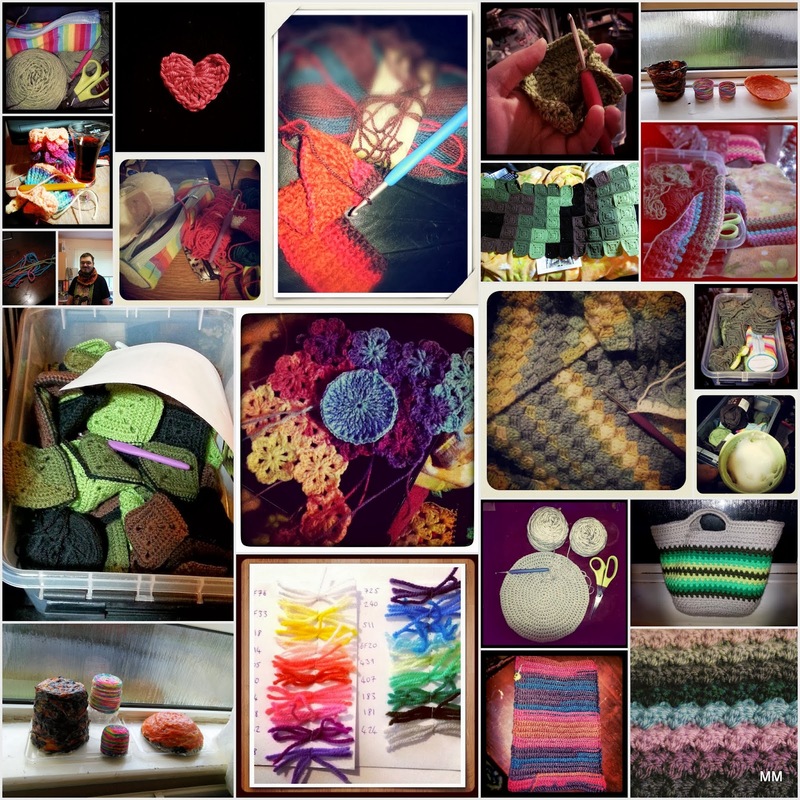 It certainly makes me feel good being able to do things for charity and I've still got loads more yarn to use up! I'd like to introduce you to our new visitor! 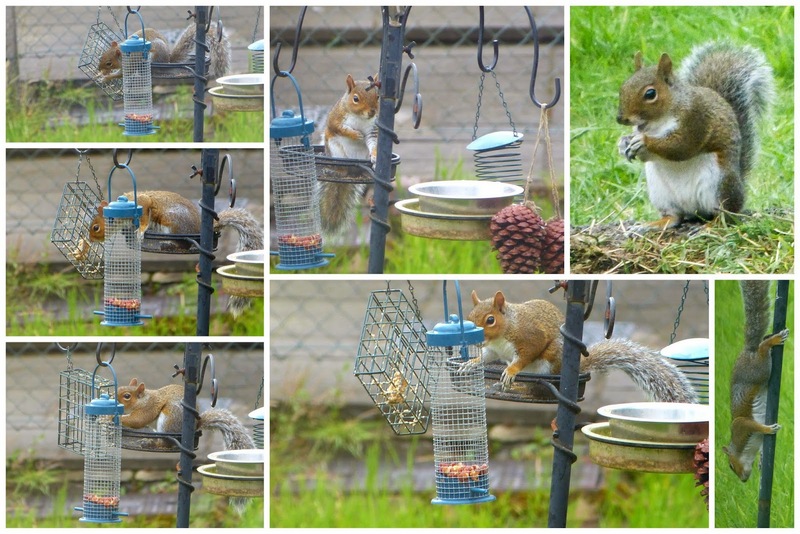 My dad had been making dinner when he noticed it on the bird feed. I quietly went to grab my camera & started snapping away! It's not often we get squirrels in our garden. 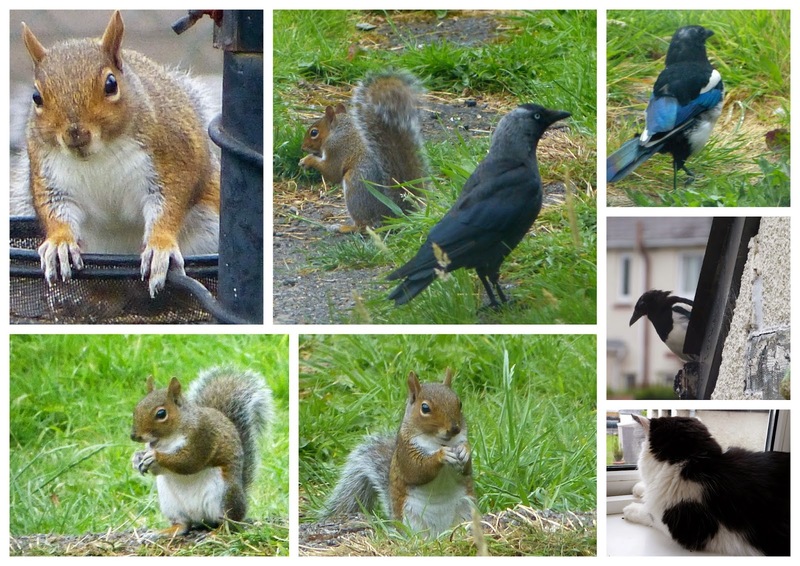 Actually, we've never had a squirrel in our garden so this was definitely a moment to remember! I don't think the crows & magpies were very happy to be sharing their garden, especially when the squirrel kept chasing them away from the food! Moe didn't look too please either. He was a bit confused at first. I love it! I thing it's so cute and they are so clever! We've not seen it since but that might be thanks to the rain! Oh & we've been getting regular visits from a woodpecker! I ♥ wildlife! It's the Zimbabwean in me! And lastly I will leave you with these images! These are 2 things I'm working on at the moment (along with the many other WIPs). One is a gift so I can't say much about it but I throw in photo here & there and the other is something I started to make because a family member needed help but now I've just carried on with it. I'll show you more once it gets a bit bigger. The pattern can be found here. Thanks again for reading. I hope your week has had as good a start as mine has. It's not often that we have a good Monday in our house but so far so good! I'm in desperate need of some R&R. My neck is still sore (my own fault for spending too much time on the laptop over the last few weeks) & the pain has been causing other issues so have strict instructions from my lovely man to do nothing today. I don't think that will last long because I'm the type of person that always needs to be doing something. Take care everyone! Wishing you a week filled with happiness & positivity! I'll try to post at the weekend but otherwise it will be next week! Change is good but so is rest! I'm quite proud of myself! I actually managed to find time to sit down, gather up my recent photos and put together a proper blog post this week! Some of them are going on 2 weeks old but better late than never. It's been a bit quieter lately. My dad has been on rest for 2 weeks because of foot pain. Policeman's heel to be exact. Very painful! But it's back to the usual full schedule this week, starting with 4am mornings from tomorrow! 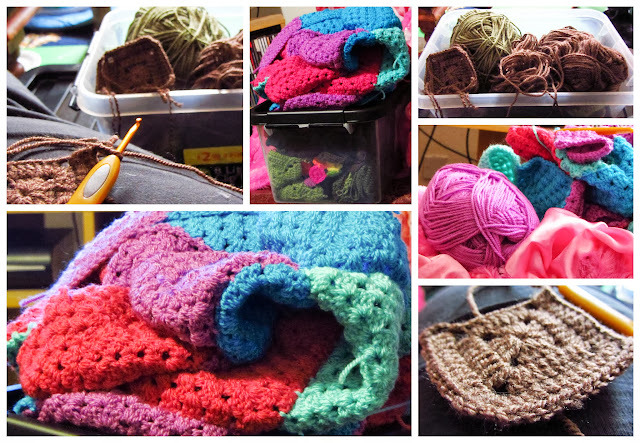 Not sure how but I managed to pack a fair bit of crochet into the last fortnight so I have a few things to share. Even during the heatwave I found myself crocheting away, sitting on the kitchen floor or in the lounge in front of our huge (18 inch) fan, trying to deal with the zillion ideas floating around in my head. Thankfully, I had a lovely coffee milkshake (camp coffee, ice-cream & milk mixed together = YUM!) & some muffins to help me through it. 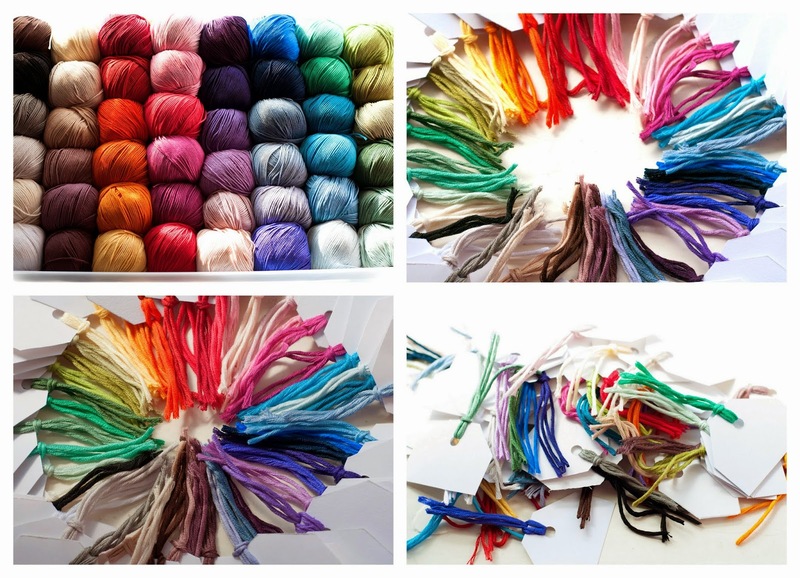 The top photo is the little scrap stash project I mentioned here. I plan on adding to it whenever I have any small bits of yarn to use up. I think it's a great idea for all those tiny scraps & will look perfect in the bathroom once it's done. 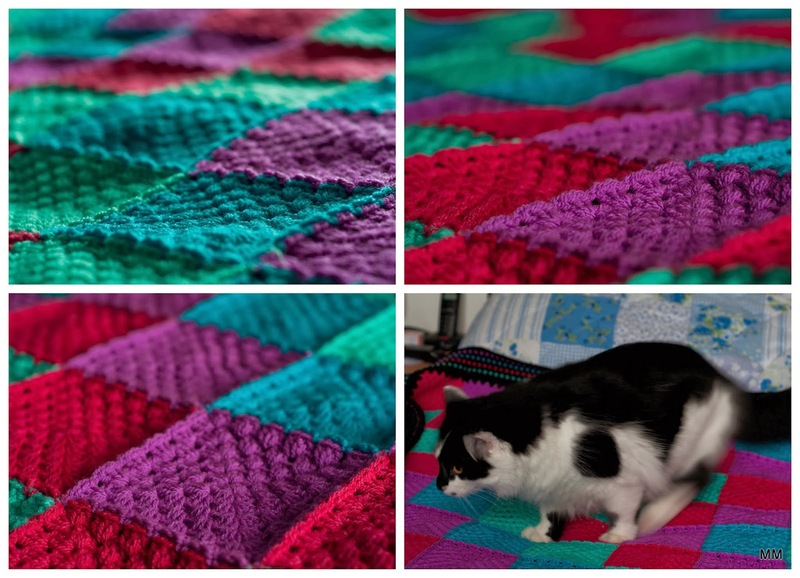 The patchwork granny square blanket is a little project I started a few weeks ago. More on that further down. I've also been working on colour ideas for a project I planned & bought yarn for at the beginning of the year. I'm having an issue with a few of my choices & that's lead to me making numerous swatches. You know when you really want a certain colour in your project but it just doesn't seem to gel? Yeah, that's the problem I'm having. 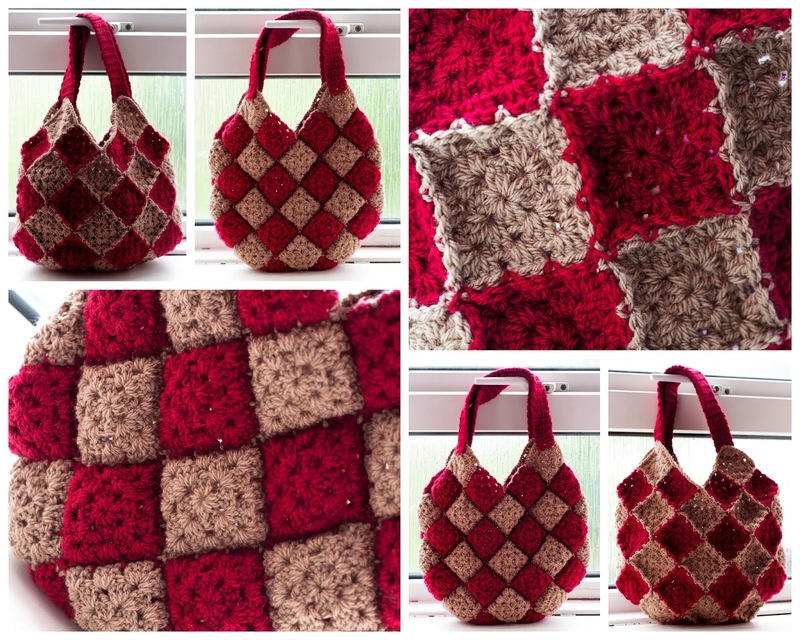 And lastly, the red & brown squares. This is an idea that just recently popped into my head & so far I am loving it. I started it yesterday & should be done by Tuesday....hopefully. I'll be sharing it with you next time. I've not forgotten about my other unfinished projects. My plan is to get some of them done this week but the big one won't be. I won't be meeting my August deadline for it sadly but it will be done before Christmas! The heatwave really messed with our eating habits. We often have salad dinners (as shown above) but we were having them way more than usual and sometimes we weren't even having that! I also made melktert (milk tart) last weekend because it's such a refreshing pudding. I did mine without the pastry to avoid using the oven. 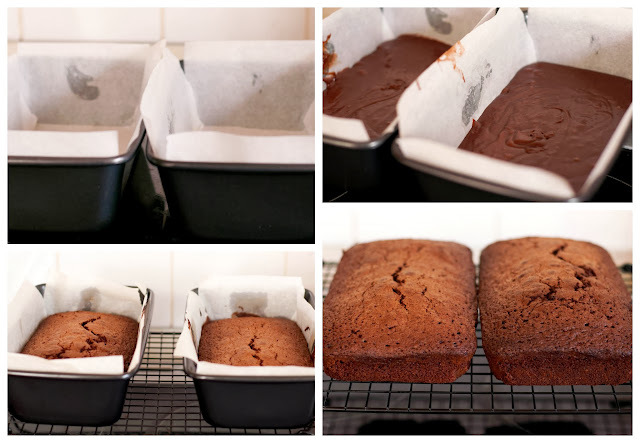 It's always my go to dessert when it's too hot for baking because it's so easy. Parcels! Parcels! Parcels! Yes, I took full advantage of the Drops cotton sale! I've got a lot of new yarn to show you. I've been buying it all throughout July because some of it wasn't in stock when I placed the first few orders. I'm just waiting on one more colour before I show you the other lots. I also bought some new clover soft touch hooks to join my collection. They are very tiny & are for the yarn mentioned in this post. These hooks are great & so comfy! I did have some cheaper small ones but they were lacking in the handle department which makes crochet a little uncomfortable. Oh & I also purchased some yarn for a project that I won't be able to show you until after Christmas. 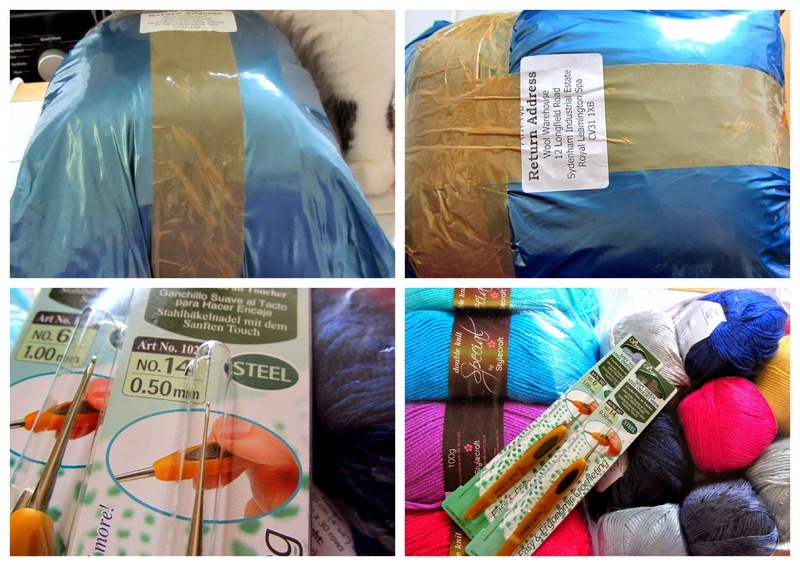 New yarn! This is Drops Muskat (100% Egyptian Mercerized Cotton). 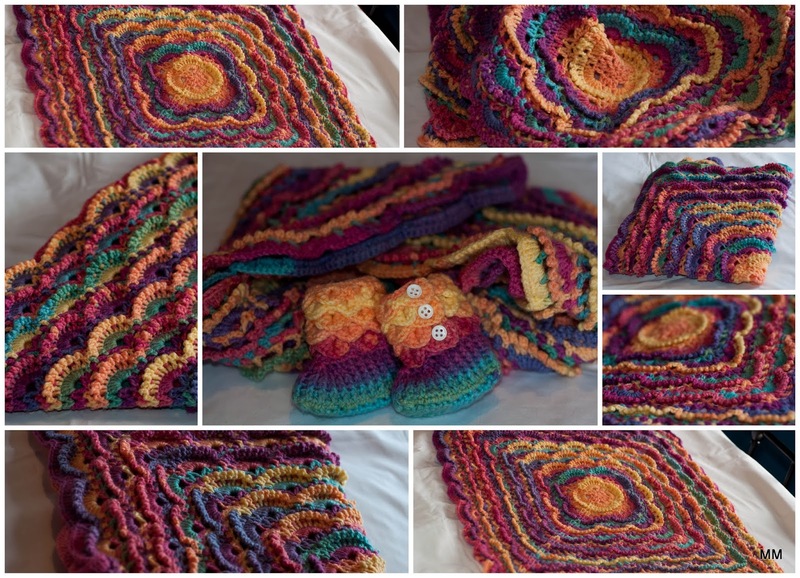 The colours are gorgeous & the yarn is lovely. I spent Monday making shadecards for all the different colours (48 in total). I only wish that there was a better yellow. My plan is to keep this yarn for little projects which is why I needed the shadecards. Ok, the little bag. I was messing about with tiny squares. Didn't know what I was making but then this idea popped into my head. I'm sure it's been done before but I love that I hadn't seen it anywhere! It's also a donation for my local charity. I hope someone likes it enough to buy it. So, that's the start of my charity stash busting collection! Bella's got the best bed in the world! 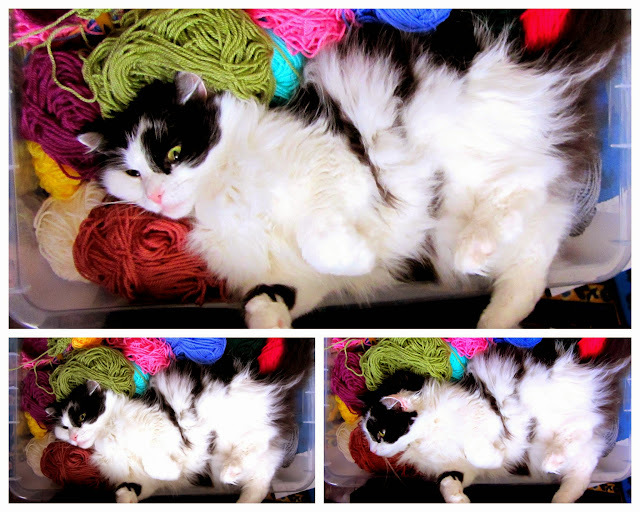 I've had my scrap stash in the lounge most of the week and no cat can resist sleeping on a bed made of yarn! It must be super comfy! She certainly looks happy. I don't think I even need to tell you that Moe's already been in there! He can't resist balls of yarn! He loves peddling & snuggling up to them. My little burrowing Moe man has been at it again. I had our blanket on the floor, ready to be thrown in the washing machine and then he decided that it was the perfect opportunity to burrow & snuggle. Believe it or not but this was on the hottest day of the heatwave! The hottest day & he decides to snuggle in a HUGE blanket! That's the blogging done for the week, the house cleaned and my dad's doing dinner so I think I'll go put my feet up for a bit. I won't be doing much crochet today as I've strained my neck. I have a bad habit of leaning my neck to the one side when I crochet and I'm paying for it now! Hope you are all well & that your weeks have been enjoyable! Best wishes for the week ahead! Hopefully I'll be doing my regular blog post on Sunday so hope to see you again then! Thanks for visiting. 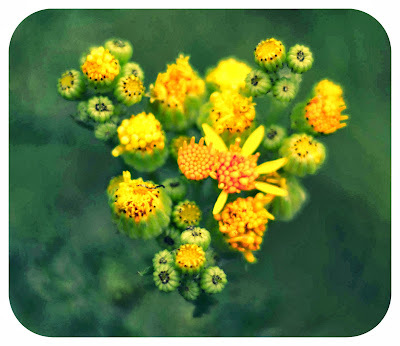 Thank you for visiting my little blog! My name's Michelle. 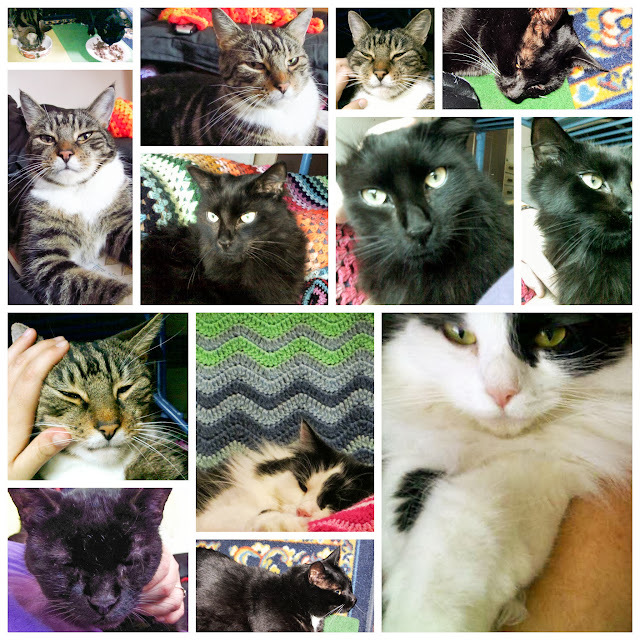 I live in an old house with my fiance, my father & 7 cats! This is a Flickr badge showing public photos and videos from thedarkrose. Make your own badge here. Shelly has read 7 books toward her goal of 50 books.